As the National Technology Officer for Microsoft Canada, John Weigelt is responsible for driving Microsoft Canada’s strategic policy and technology efforts. In this role, Mr. Weigelt helps business and governments innovate with technology while avoiding the unintended consequences that might arise. He leads Canadian outreach for Economic Development, Environmental Sustainability, Accessibility, Privacy, Security, Critical Infrastructure Protection, Government 3.0, Interoperability and other policy related activities. 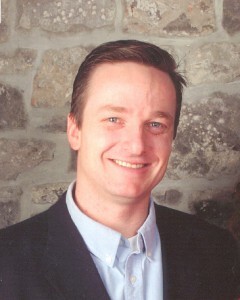 Prior to joining Microsoft, John held the position of Senior Director of Architecture, Standards and Engineering at the Chief Information Officer Branch of the Treasury Board of Canada Secretariat. John is also a board member for Supply Chain and Logistics Association Canada and is also a member of the Science and Technology Advisory Council of Innovacorp. He holds a Master’s Degree in computer and communications security engineering from the Royal Military College of Canada.